Probiotics may have a strong effect in improving larval fish development. Some methods for their action may include appetite stimulation, improved nutrition, and simply competitive exclusion (summarized in Irianto & Austin 2002). The method of action may not be well studied at this time, but positive outcomes from those interactions are certainly possible (Verschuere et al 2000). With a growing interest in preventing microbial disease outbreaks, the usage of probiotics may be the next step in large aquaculture production. 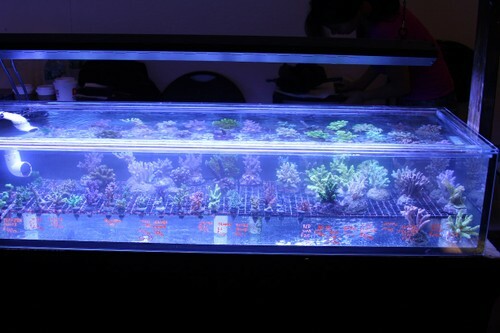 The authors are introducing these methods to the marine aquarium hobby. 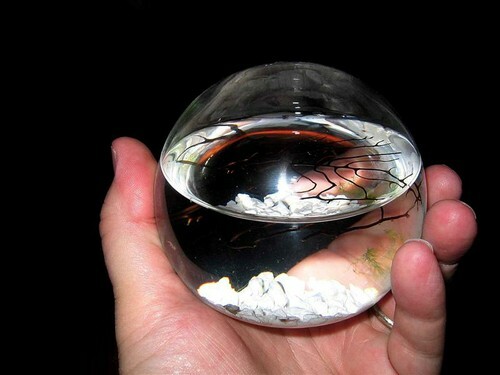 With a vast record of short-lived specimens, troubles with shipping, acclimation issues, and a condensed captive environment; the aquarium hobbyist is faced with countless challenges in keeping marine ornamentals. This project is designed to analyze the specific strains of bacteria used in a commercial probiotic formula. This particular probiotic compound could lead the way into the next generation of home aquaculture hobbyists. Following the Probiotic Analysis Part I (Blundell & Durrant 2009), we further isolated the bacteria recovered to produce pure subcultures. This was necessary to identify each type of bacteria present and to verify that each differing colony type was accounted for. 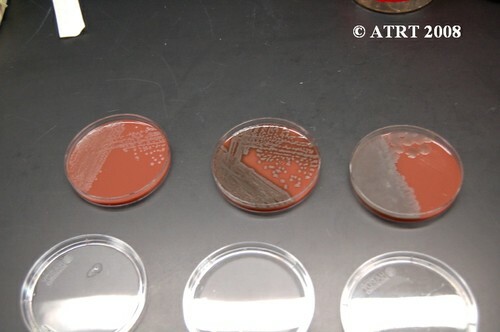 Original cultures showed the best growth of bacteria on chocolate agar cultured in aerobic conditions. 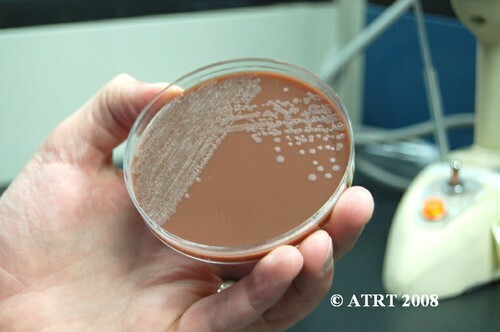 The original chocolate agar was used to provide starter colonies for subcultures. 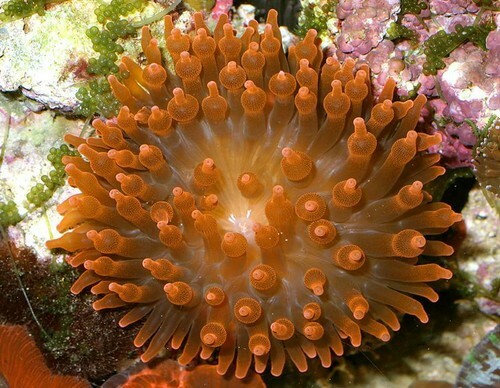 Subculturing is simply a way of isolating different colony types of bacteria. 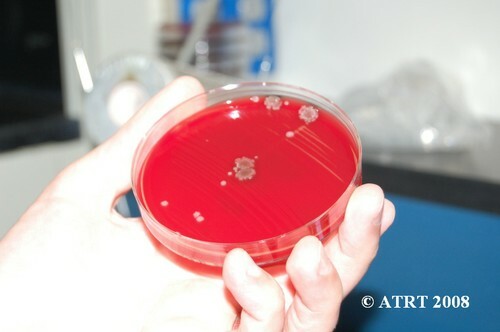 We take a culture plate with a mixture of bacteria and place the different colony types on separate plates (subcultures). This process is used in order to produce isolated and pure cultures. Streak pattern used in this study. 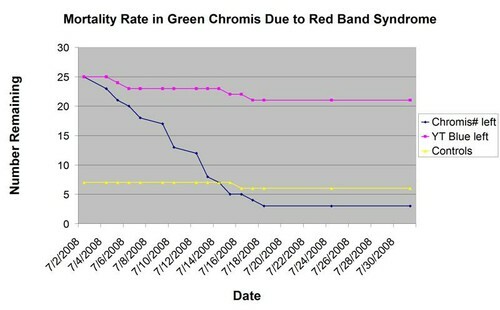 The subculture testing definitively showed three distinct colony types of Bacillus species. Even with the naked eye, distinct morphologies were apparent-mucoid, wet and rough, and pink colony types. Microscopic analyses clearly showed gram positive spore-forming rods with differing morphologies. Dry glabrous colony pure subculture on CHOC. Greenish mucoid colony pure subculture on CHOC. Fringy colony pure subculture on CHOC. The three pure subcultures on CHOC, side by side. Original CHOC and SBA agar. 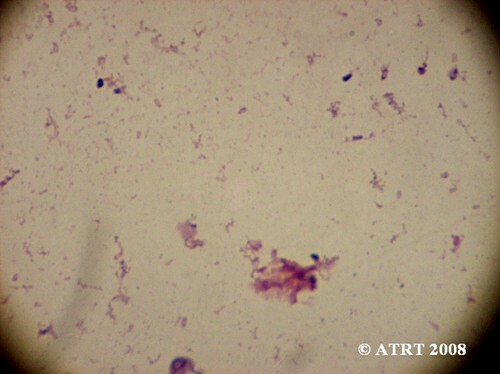 Gram stain of a colony showing large, boxy gram positive rods. Gram stain of original suspension showing vaguely rod-like, gram positive forms. The results of this test confirm the manufacturer’s claim that the Sanolife product (INVE Technologies) contains three strains of the bacteria Bacillus. With the recent tests showing positive effects of these bacteria when added to both broodstock and to larval animals (INVE 2008), further development of probiotics may prove useful. Further experimentation with flora and fauna for aquaculture is certainly warranted following these results, especially given the potential outcomes. 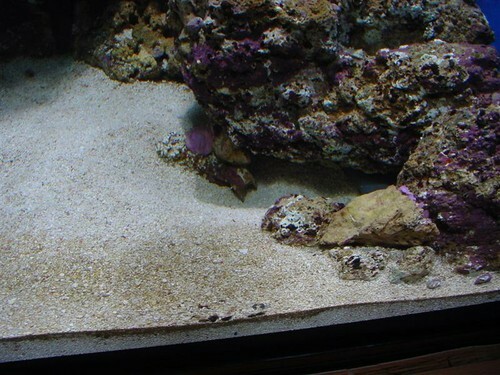 Blundell, A., Durrant, R., (2009), “Probiotic Analysis Part I”, Advanced Aquarist Online Magazine. USA. Ciprandi, G., et al (1986), “In vitro effects of Bacillus subtilis on the Immune Response”, Chemioterapia. Issue 5, pgs 404-407. Green, D., et al (1999), “Characterization of Two Bacillus Probiotics”, Applied and Environmental Microbiology. September 1999, American Society for Microbiology, Vol. 65, No. 9, pgs 4288-4291. INVE Technologies, Package Insert from ProBiotic Sanolife Mic-R.
Irianta, A., Austin, B., (2002), “Probiotics in Aquaculture”, Journal of Fish Diseases, Blackwell Publishing. USA. Gomez-Gil, B., Roque, A., Turnbull, J., (2000), “The Use and Selection of Probiotic Bacteria for Use in the Culture of Larval Aquatic Organisms”, Aquaculture V. 191 I. 1-3. USA. Maza, G., (1983), “Genetic studies on the transfer of antibiotic resistance genes in Bacillus subtilis strains”, Chemioterapia. Issue 2, pgs 64-72. Olafsen, J., (2001), “Interactions Between Fish Larvae and Bacteria in Marine Aquaculture”, Aquaculture V. 200 I. 1-2. USA. Verschuere, L., Rombaut, G., Sorgeloos, P., Verstraete, W., (2000), “Probiotic Bacteria as Biological Control Agents in Aquaculture”, Microbial and Molecular Biology Reviews Vol. 64 No. 4. USA.